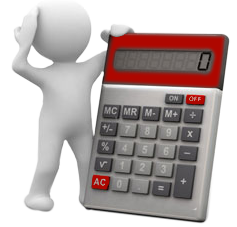 Borrow from £3,000 To £1 million For Virtually Any Purpose. Use 100`s Of Loans To Find The Best Home Owner Loan. 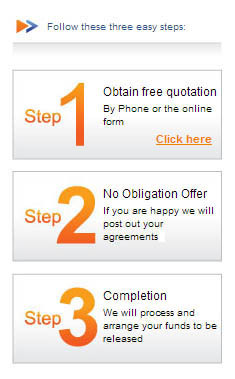 Good / Fair / Poor Credit Plans & All Quotes Are Free. Utilise Your Equity, Move Home or Buy A Second Home. With 25 years of experience and a wide selection home loan products, First Choice Finance is an established provider of home equity loans & mortgages for consumers from all backgrounds, obtaining money for you that can be used for almost any purpose. We search our panel to find the most suitable and lowest rate home loan for your individual circumstances. We realise that everyone has a unique scenario, so whether you are looking to buy your first home, are a home mover or are staying put and simply want to release money from your home for you to use as you wish - we adopt the same proven process. Whether you are seeking £3,000 or need to find £750,000 to achieve your goals you are equally important to us. Should you actually be looking for a personal loan for a specific purpose, we even have access to those lending solutions too. What Can Our Home Equity Loans Be Used For? New car, motorbike or caravan. 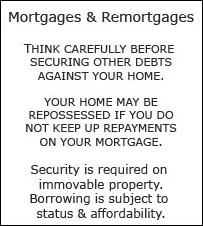 Almost anything else you may require a loan for. For those of you not wishing to buy your first home or move house then getting a loan or remortgage from First Choice Finance still gives you the freedom to spend the money released from your equity on almost anything you need. Reducing your outgoings through debt consolidation is one well known use for remortgages and homeowner loans, but they are used for many other reasons. Whether that`s buying a new car, setting off on a dream holiday, or to raise money for making improvements to your home, our extensive selection of home loans are a useful way of financing what you need. A home loan is a type of loan which allows you to release some of the equity from your property via a homeowner loan or raise money through a mortgage to buy a property. First Choice Finance have plans which may enable you to help you raise from just £3000 up to £1 million, whilst spreading the payments over 3 to 30 years. This is because home loans are secured on the property involved, so you are often able to borrow larger amounts over longer periods of time. Home loans can be very useful for raising the substantial amounts of money required to make major purchases (such as houses of course….) over elongated periods of time to make them affordable and have been an established route to home ownership, or raising money from a home for a very, very long time. If it`s utilising money from the equity in your home you are after some may find a remortgage or a secured homeowner loan could even be a an alternative way of financing your project than a large personal loan; if for example you cannot get the amount you require, or find the payments unaffordable because the term is too short or maybe you are unlucky enough to have been declined for a large personal loan but may meet a secured loan lenders critieria. Can You Help If We Have A Poor Credit Rating? 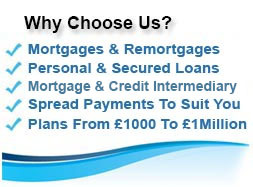 First Choice Finance is one of the UK`s longest established finance companies, this means we can give you access to a large selection of lenders, some of whom have created specialist loan products to cater for those of us with some adverse credit. This selection gives us the flexibility to try and help people who have been refused a loan in the past. Even if you are unfortunate enough to have incurred County Court Judgements (CCJ`s), missed payments on existing debts, defaulted credit cards or even mortgage arrears please enquire online or give us a call as we will always try out best to help. 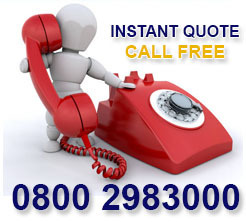 Any quotes are always given out for free and you will be under absolutely no obligation to proceed. Whenever you want a home loan, and for whatever reason, you should strongly consider letting First Choice Finance help you decide which to choose. Why? 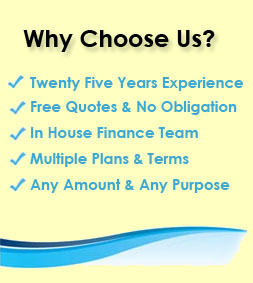 Well, we`re a long term established and experienced finance broker, which means that we have a wide range of loans on offer that you can choose from, unlike if you went directly to a lender, which may only have a few deals available therefore limiting your options and none of which may be suitable for your individual situation. We are not saying only try us, we just think you might want to add us into the mix and then decide. Across the whole market, the number of lenders willing to offer you a home loan is increasing as shown by the Bank of England`s Credit Conditions Survey for the fourth quarter of last year. That may encourage you to consider comparison sites, but you`ll often be left to pick a deal by yourself, which may result in you not getting the best one. It`s not like that at First Choice Finance we can offer you both the selection and the help in choosing the right one because we have access to many lenders and in house home loan advisers who will walk you through the process and help along the way. Getting started is simple, all you need to do is give us a few details and we`ll come back to you and help find the best homeowner loan for you from our panel. You`re well within your rights to turn it down if you don`t think it`s suitable, as it`s offered on a no-obligation basis, but with First Choice Finance, even borrowers with an impaired credit history can get the secured loan that`s best for them. Your home loan can be put towards anything legal, such as refurbishments on your home or paying for the deposit on your child`s first home. Alternatively, the money can sometimes be used for debt consolidation, which would see one loan pay off many existing unsecured loans, credit cards or other debts. This will both reduce your outgoings and mean that your single repayment will be easier to keep track of, although you may end up paying more interest on the loan as a result depending on the rates and terms involved. Consult First Choice Finance about best home loans today call on 0800 298 3000 from a landline, 0333 003 1505 from a mobile or fill in our online form at firstchoicefinance.co.uk.